I always liked Wendy’s Chili!!! Here is the recipe! 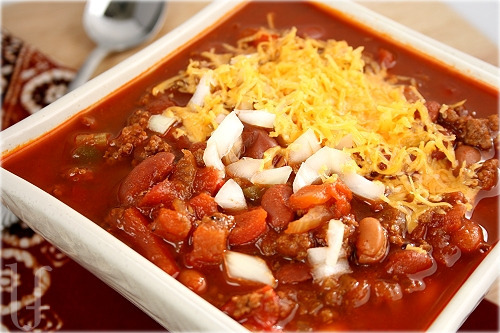 Hon loves Wendy’s chili – he would buy and eat it every single day…and does! It really does look and smell pretty darn close – and is easy and economical. Treat your family to fast-food…but you’ll know exactly what’s in it! I read about the original-original and someone said that to make it the closest to, use frozen diced onions and green peppers. Ever wanting to make things super easy, I do. They also said it was imperative to boil the meat after browning. So I do that, too.